Who is Peter? How is Peter relevant to Pentecost? Before we discuss Peter’s relevancy to Pentecostals and the Day of Pentecost, it is important to have a clear sense of who Peter is. When Jesus came to Peter he was a fisherman. Jesus also healed Peter’s Mother-In-Law, as depicted in Matthew 8: 14-15, and in the gospels of Mark and Luke. Peter is often depicted in the Gospels as one of Jesus’ closest and most trusted disciples. Peter was present for most of Jesus’ miracles, sermons, and otherwise noteworthy acts. One of the more famous of these miracles involving Peter is the story of Jesus walking on water. The Gospel of Matthew recounts Peter beginning to walk on water to meet Jesus, but sinking as his faith waivers. Peter was present for the last supper, and initially refused to let Jesus wash his feet, as he felt that his master and leader was too important to be doing such for a lowly fisherman. Peter was one of three disciples with Jesus when He went to pray on the eve of His crucifixion. When Judas arrived with the Roman soldiers and Jewish leaders to arrest Jesus, Peter sliced the ear off the servant of the priest in his fervor to protect Jesus. Perhaps one of Peter’s most famous stories occurs throughout that night as he fulfills Jesus’ prediction of denying Him three times before the rooster crows. Upon realizing that He had betrayed Jesus, Peter broke down weeping. Later, when Jesus is resurrected, Peter is the first disciple to run directly into the tomb to see the evidence of the resurrection. Upon Jesus Christ’s ascension into Heaven, Peter became one of the most influential Church leaders and some of his writings to the early churches make up a portion of the New Testament. This reflects Jesus claim that Peter, also known as Cephas (Rock), would be the rock upon which Christ intended to build His church. On the day of Pentecost, the Holy Spirit descended upon the disciples in the upper room. This meant that many spoke in languages that they neither personally knew or understood. This speaking in tongues serves as a sign that those present on the day of Pentecost received the Holy Spirit that Jesus spoke of. The descending of the Holy Spirit (Holy Ghost) is important for several key reasons. First, it provides key evidence for the resurrection and ascendance of Jesus Christ. To many alive at the time, the sight of many speaking in foreign languages and the nature of which the Holy Spirit descended on them is living proof of the power of Jesus Christ. If the God that these disciples spoke of was powerful enough to impart an entirely unknown language into them, then He must be powerful enough to have raised Himself from the dead. 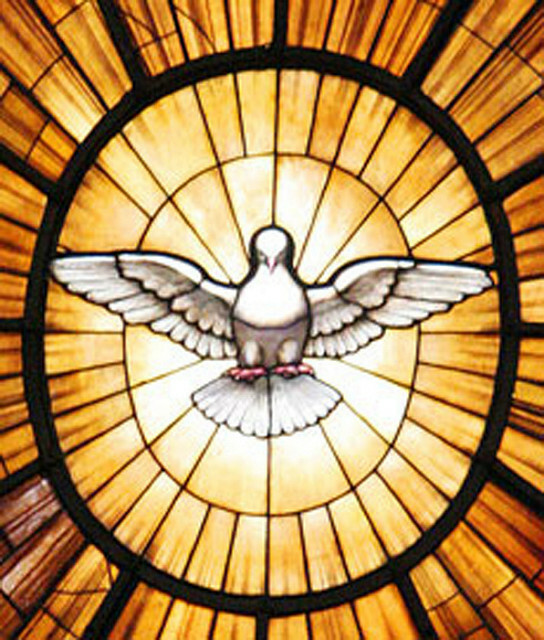 Second, the day of Pentecost illustrates what the Holy Spirit is and what it is capable of. While, the Holy Spirit is not confined only by what occurred on the day of Pentecost, it is important to understand that it is capable of these kinds of miraculous events. God imparted language and the ability to speak it into His followers through nothing but the sincerity of their faith, obedience, and the power of His being. If he can do this, then what can possibly be a challenge for Him? Why is Peter Relevant to Pentecostals? So, the question remains, why is Peter relevant to the day of Pentecost and to Pentecostals? The answers to the first part of this question come directly from the Bible, and specifically from portions of the scriptures referenced above. After the Holy Spirit descended on the day of Pentecost, Peter delivered a sermon to all of those present. In this sermon, he reiterated His belief in the truth about Jesus Christ, and He clarified the nature of the Holy Spirit which many in the crowd had just witnessed. In this clarification, Peter clearly describes the Holy Spirit as the Spirit of Jesus Christ. Peter adds that the Holy Spirit is a promise to all and that believers should repent and and be baptized in the name of Jesus Christ. As Pentecostals we believe that the events that transpired on the day of Pentecost are not a one-time deal. We believe that the power of Jesus Christ is real, and that He acts in us through the Holy Spirit. Though the act of miracles and speaking in tongues, we know that God is capable of anything and that those miraculous events still occur today. We believe these to be evidence of the presence of the Holy Spirit and affirmations of the faith that anyone can hold in Jesus Christ. Peter is relevant to the Pentecostal Church because He is clear about what the Holy Spirit is and who it is from. Peter gives us the knowledge needed to understand and to fully utilize and appreciate the Holy Spirit of Jesus Christ via his sermon on the day of Pentecost. If you are looking for a Pentecostal Church San Antonito Texas area you are invited to Pentecostal Life Church. It is the desire of Pentecostal Life Church to be an Apostolic Church San Antonio and shine the light of Jesus.